Wholesale Auto Supply Company was founded by auto dealers with a simple concept in mind – getting the most bang for their buck. Though the firm, also known as WASCO, has evolved since its founding, its mission has remained the same – help dealerships save money through bulk purchasing. Founded in 1959, WASCO is a cooperative with 200-plus dealer stockholders. Some 850 dealerships use its services. 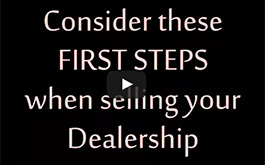 A dealer can become a member by simply buying one share of stock. Stockholders receive a distribution of WASCO’s annual profits, which in 2017 equaled 7.4 percent of a stockholder’s purchases. Non-stockholders can also buy from WASCO at the same low prices, but they do not get an annual dividend. WASCO in effect acts as the purchasing department for dealers, who can buy supplies including bulk oil, janitorial supplies, equipment, and office supplies and furniture from WASCO. Buyers average 15 to 20 percent price savings, say Karsian. It can help small dealership groups or single-point dealerships, as well as large private and public groups, compete in an increasingly tough market, she says. WASCO regularly does price comparisons and aims to be competitive before the annual dividend is included. It offers more than just purchasing products at good prices. If a facility is being remodeled or constructed, WASCO will work with the designer, architects and subcontractors to choose equipment and ensure it is correctly installed. It does the same with OEM-compliant furniture, oil tanks, waste oil burners, lifts, security systems, and other dealership equipment. WASCO is also a useful partner when a dealership is going through a buy sell, says Karsian. “We help keep the chaos to a minimum,” she says. WASCO worked with around 20 groups going through buy sells in 2017, most from one shareholder to another, says Karsian. It can keep the purchasing process smooth until the last day of business under the seller, she says. That includes issues as simple as a massive amount of shredding, which is one task WASCO arranged for a private group client when it was sold to a public company. If both the buyer and seller are shareholders, WASCO can smooth the transfer of vendor contracts from one owner to the next, says Karsian. For example, the seller buys its uniforms through a WASCO vendor, and has a contract that extends past the date of the sale. “We try to work with our vendor partner to transition to the new owner,” says Karsian. 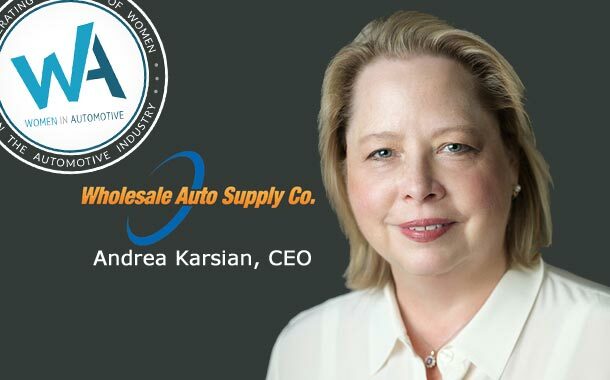 Karsian has worked in the auto industry her entire life. She started as a receptionist at a dealership while in college and ended up running 14 dealerships. In 2005, Karsian struck out on her own to buy a dealership, but the franchise was awarded to a current dealer. She launched her own consulting business and worked with WASCO. Karsian became CEO of her former client in 2010. WASCO’s customers are predominately in New Jersey, eastern Pennsylvania, New York, upper Delaware and lower Connecticut, says Karsian. It delivers around 50 percent of the goods itself from its 30,000 sq. ft. warehouse in South Hackensack, NJ. The other half are dropped shipped. The firm is in the middle of a strategic plan, considering various new delivery options that could help it expand to other areas. It is always looking for new items to carry and services to offer. And to add more stockholders. Dealers can be resistant, says Karsian. “The biggest obstacle we face is not wanting to change,” she says. WASCO is one of a handful of services that you’d think every dealership in the country would be using. They are basically offering to give free money to dealership members in the form of significant savings on routine and non-routine purchases. Thanks for your comment Mike. I am sure Andrea would agree! A cooperative approach to purchasing and what about a C-corp?